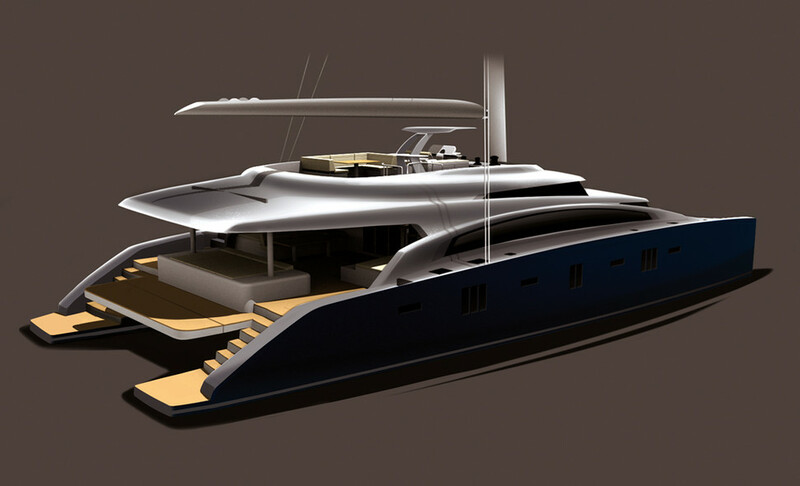 Continuing along the lines of the very successful Neel 45, the builder, a specialist in ocean cruising trimarans, has put the very first Neel 65 into production – a boat which is inevitably unique on the market... With its 33m² flybridge, and a beam of 12 meters, we don’t have to explain that there is room aboard to welcome your friends. Moreover the n°1 in the series, which will be launched next April, will be available for charter, with a crew. The builder has now sold two examples of this boat, which is of course completely modular and offers from 3 to 8 cabins. 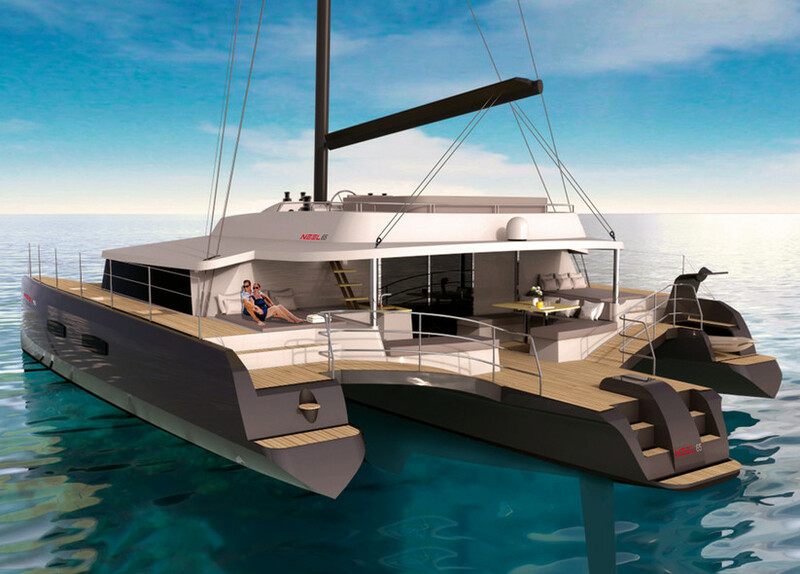 Imagine: a catamaran offering 430m² of living area, twice as much as aboard the Sunreef 82 Double Deck that Sunreef presented to us in 2012... 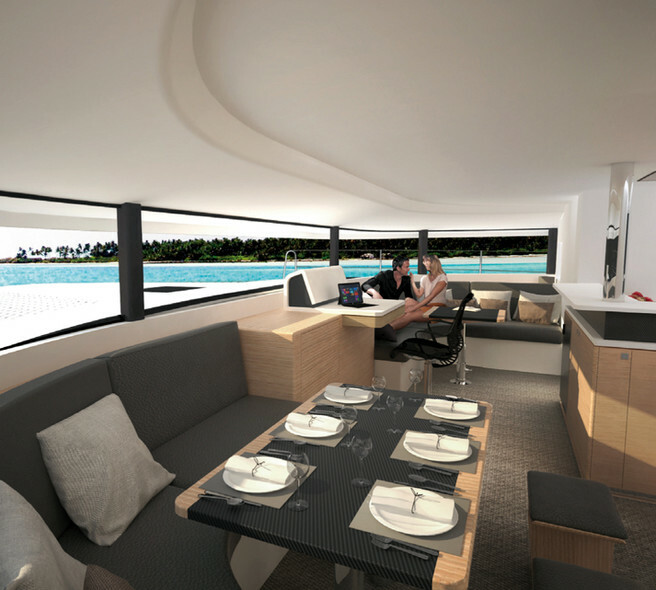 This is what the new 92 DD (for double deck), the superlative catamaran, is offering. Aboard, 12 guests can be accommodated in luxury-yacht style comfort, but it is of course the owner’s cabin, situated at the front of the boat, which is the most incredible, with its volume and an unobstructed view of the most beautiful anchorages. 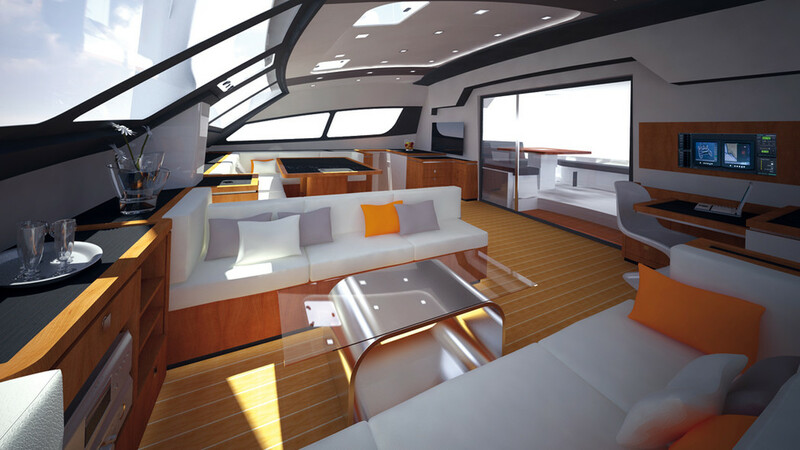 A cabin which, like the whole boat, can be completely customized, according to the owner’s wishes and program.